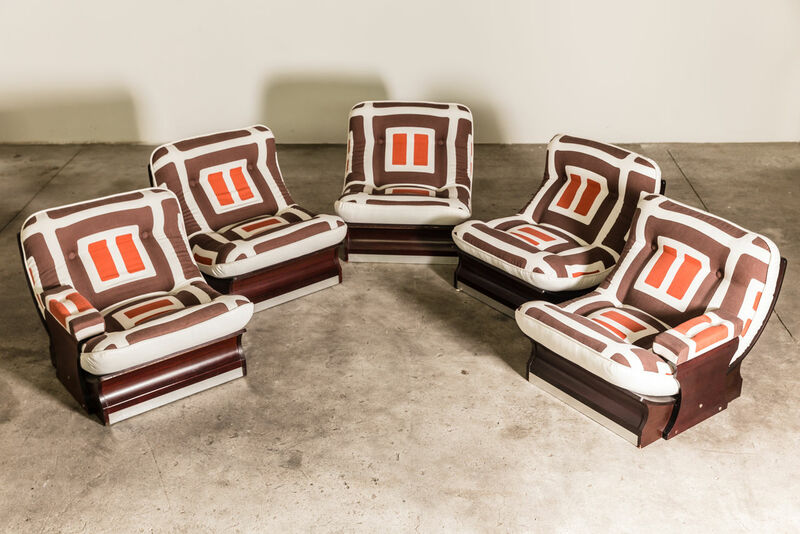 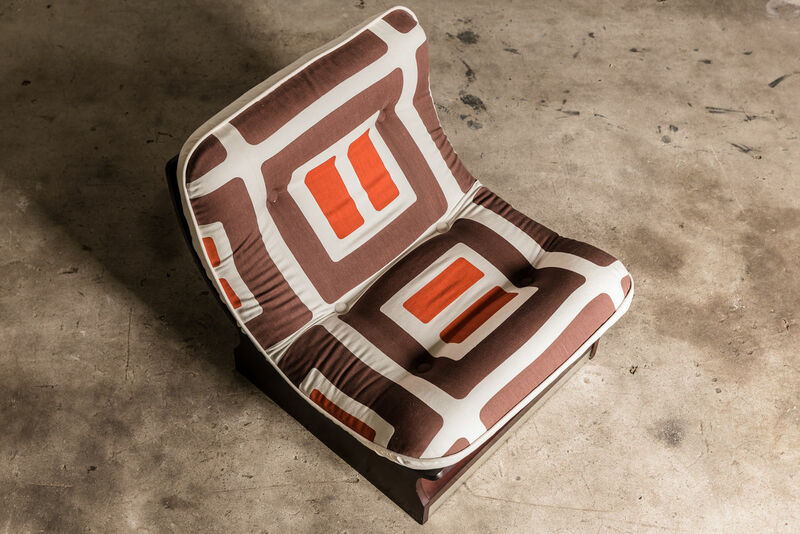 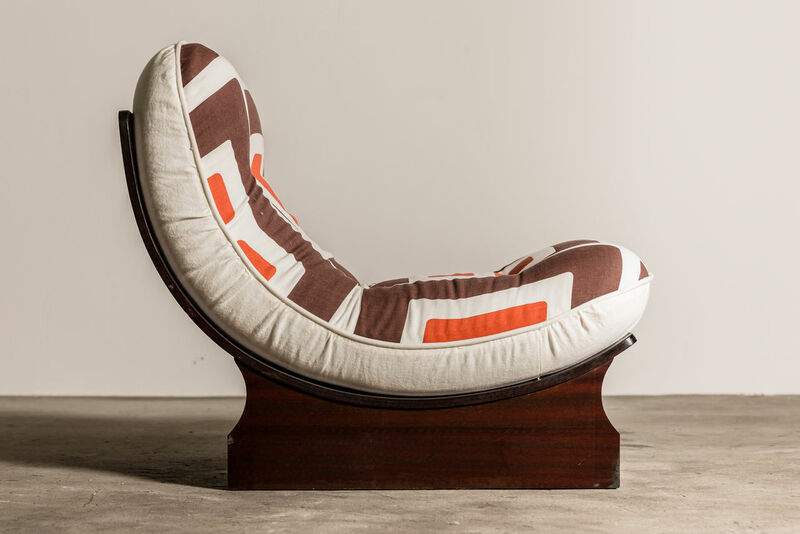 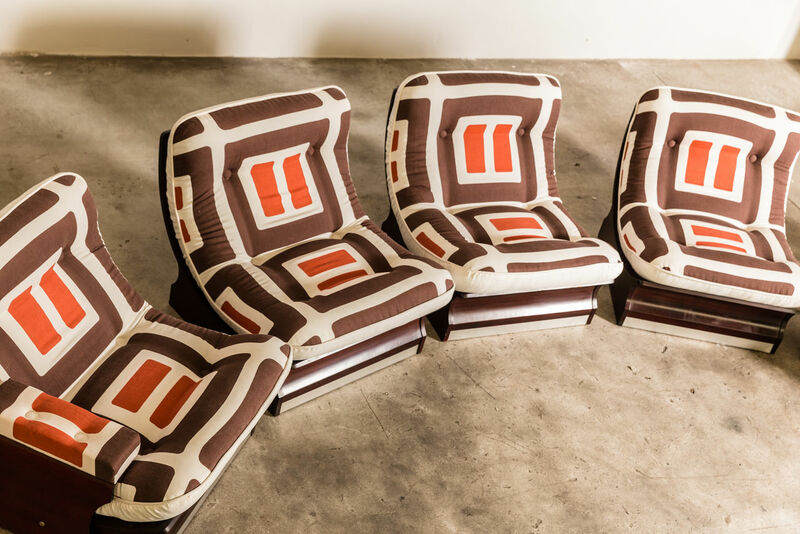 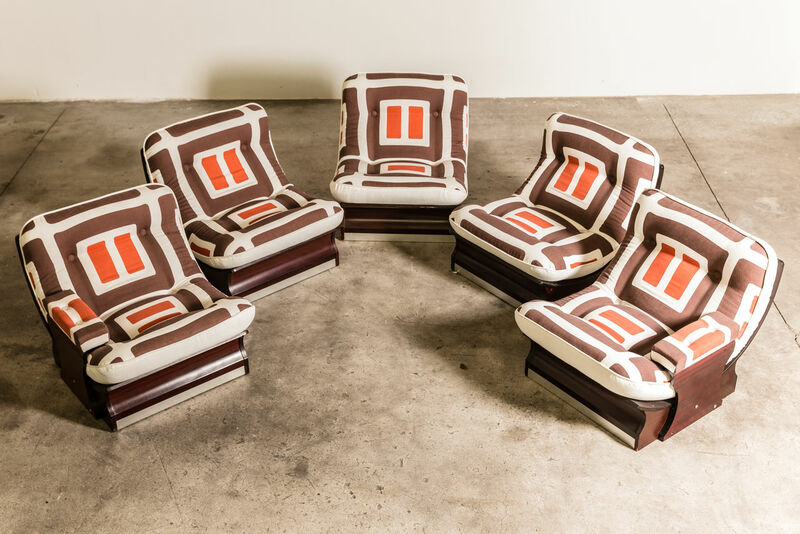 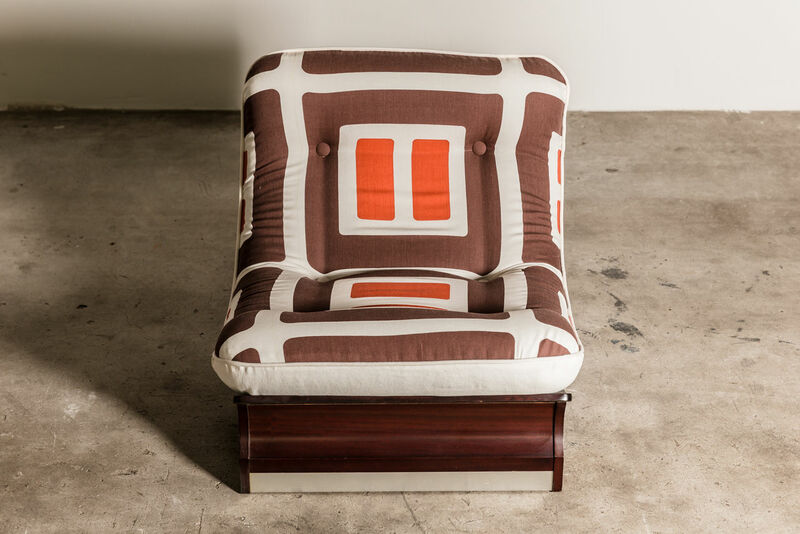 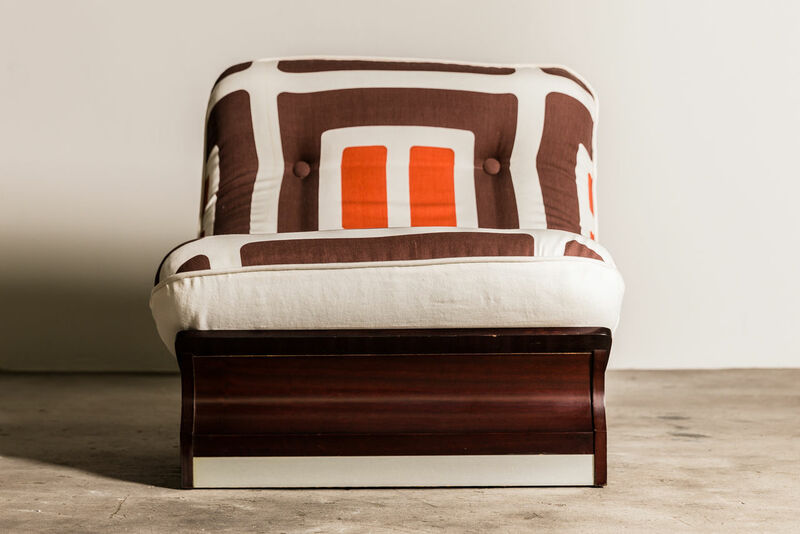 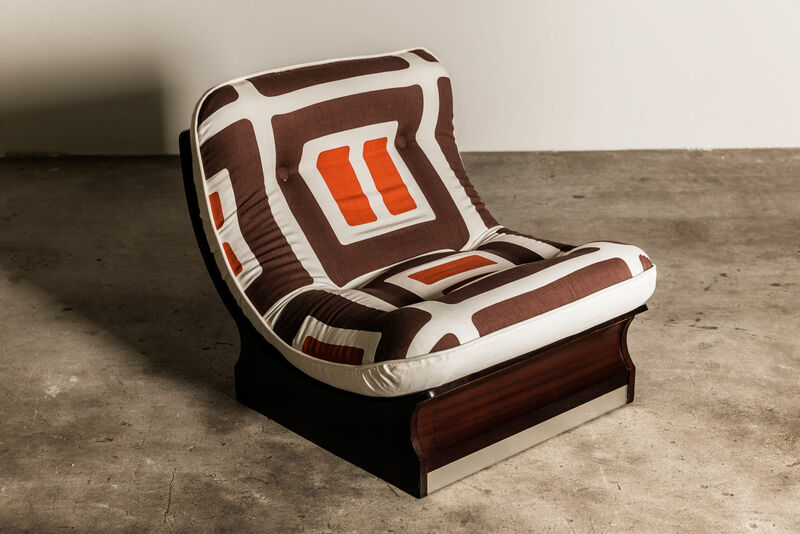 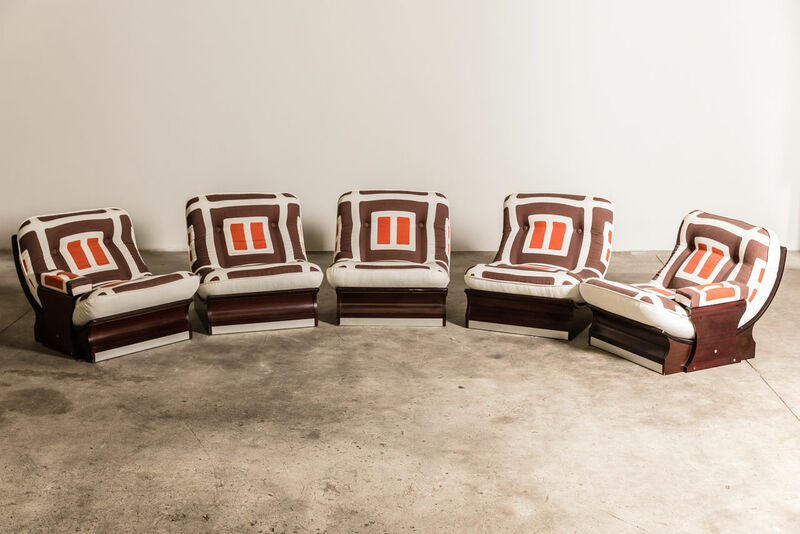 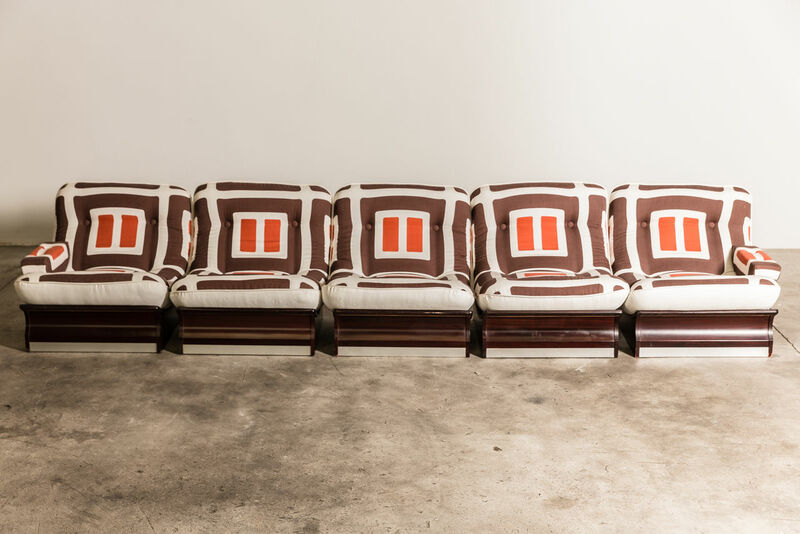 Set of 1970s Italian Lounge Chairs | Castorina & Co. 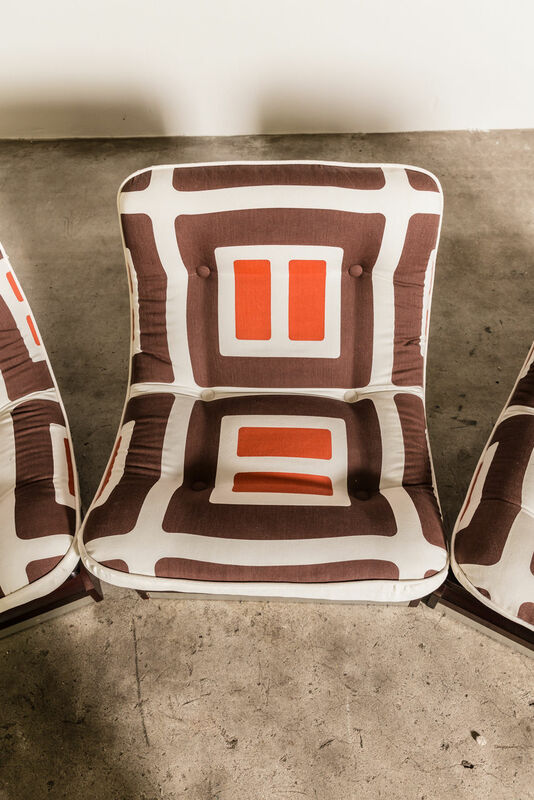 Newly refurbished and upholstered in Italy this set of 5 Lounge Chairs is sure to make a statement in any space. 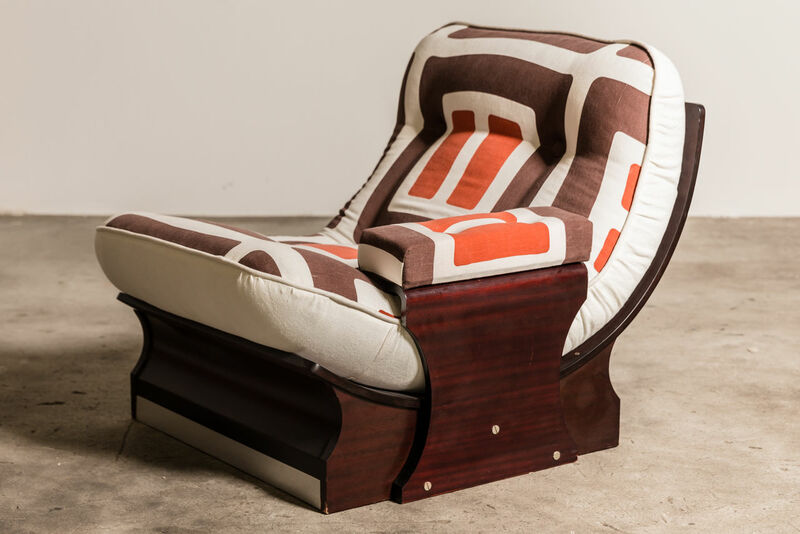 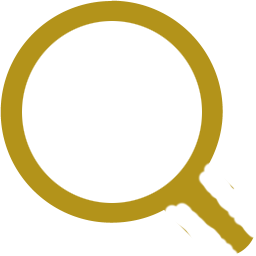 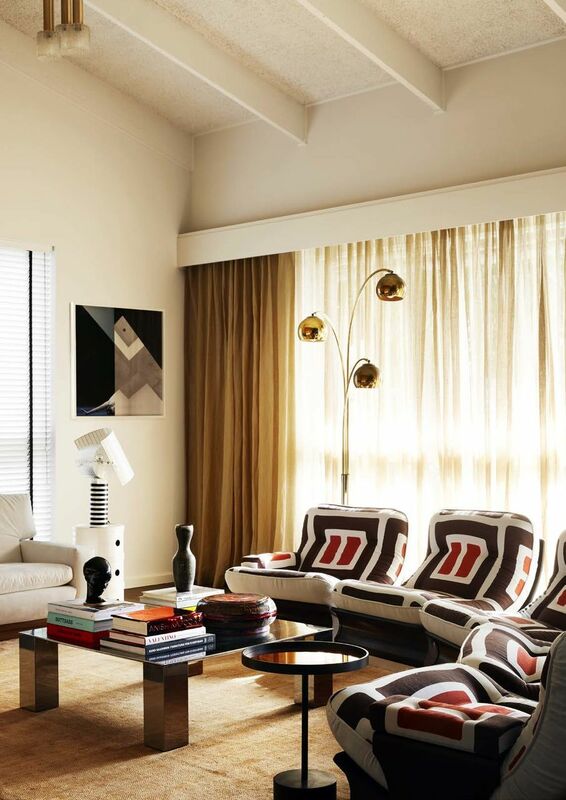 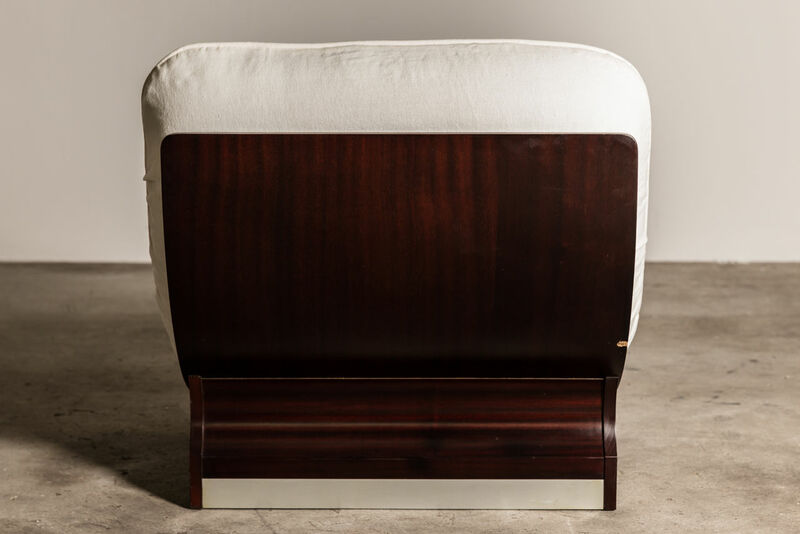 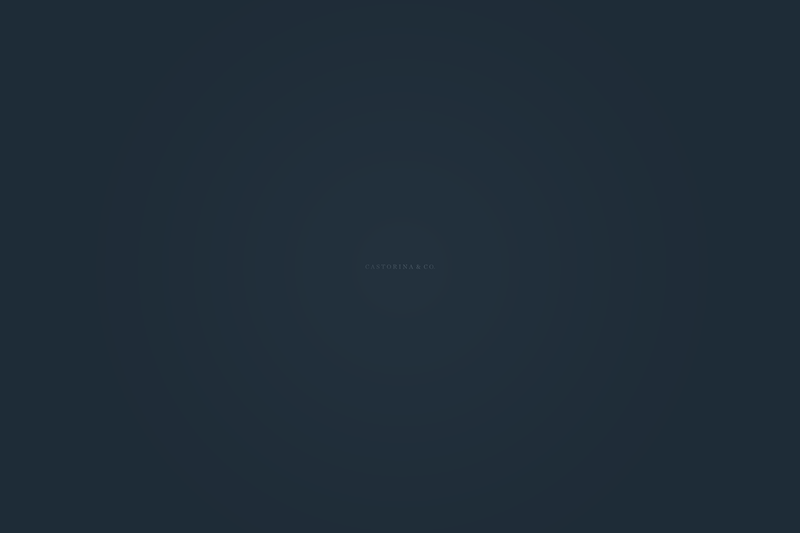 The chairs can be configuired in many ways with two of the chairs having armrests which can be used as ends shoud you wish to make one lounge.